Posted in: 1 Pageant Pages, 2 Shout-out-Looks. Tagged: Bb. 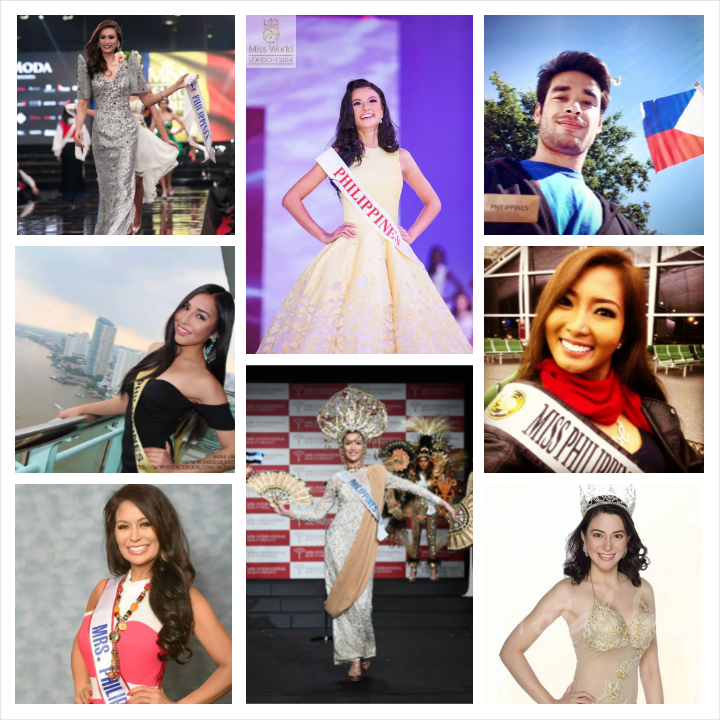 Pilipinas 2014, Kris Tiffany Janson, Like Pinas, Miss Intercontinental 2014, Myra E, PhilRice. Aside from the latest TV commercial of Myra E Vitamin above which is frequently being shown on the small screen of late, Bb. Pilipinas Intercontinental 2014 and Miss Intercontinental 2014 2nd Runner-Up Kris Tiffany Janson has also started co-hosting “PhilRice” on PTV4 – the Government Network – which airs Saturday nights at 10:30PM. The informative show was made in cooperation with the Philippine Rice Research Institute. You may also get to see Kris on the same network’s “Like Pinas” travel specials done in cooperation with the Philippine Information Agency. Posted in: 1 Pageant Pages, 2 Shout-out-Looks. 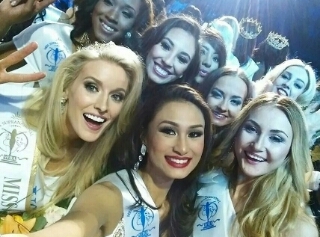 Tagged: Christi Lynn McGarry, Kris Tiffany Janson, Miss Intercontinental 2014, Miss Intercontinental 2015. With Miss Intercontinental 2015 in full swing, let us do a throwback on our representative last year who came close to winning the crown, also in Magdeburg, Germany. Bb. Pilipinas Intercontinental 2014 and Miss Intercontinental 2014 2nd Runner-Up Kris Tiffany Janson was brimming with confidence when she departed for the host country. And all pageant fans and followers were optimistic of her chances to nail our first victory in the said competition. Of course, somewhere along the way, there were persistent rumors of “things” happening in the background. Such talks were initially dismissed up until that fateful finals night when two (2) candidates from Asia-Oceania were called to the magic circle instead of just one. And the rest is debatable pageant history. Posted in: 1 Pageant Pages, 2 Shout-out-Looks. Tagged: Bb. 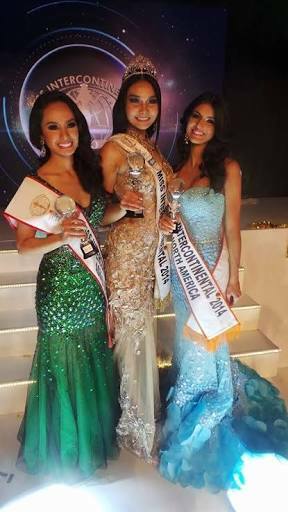 Pilipinas Intercontinental 2014, Kris Tiffany Janson, Miss Intercontinental 2014, Red Sea. Bb. 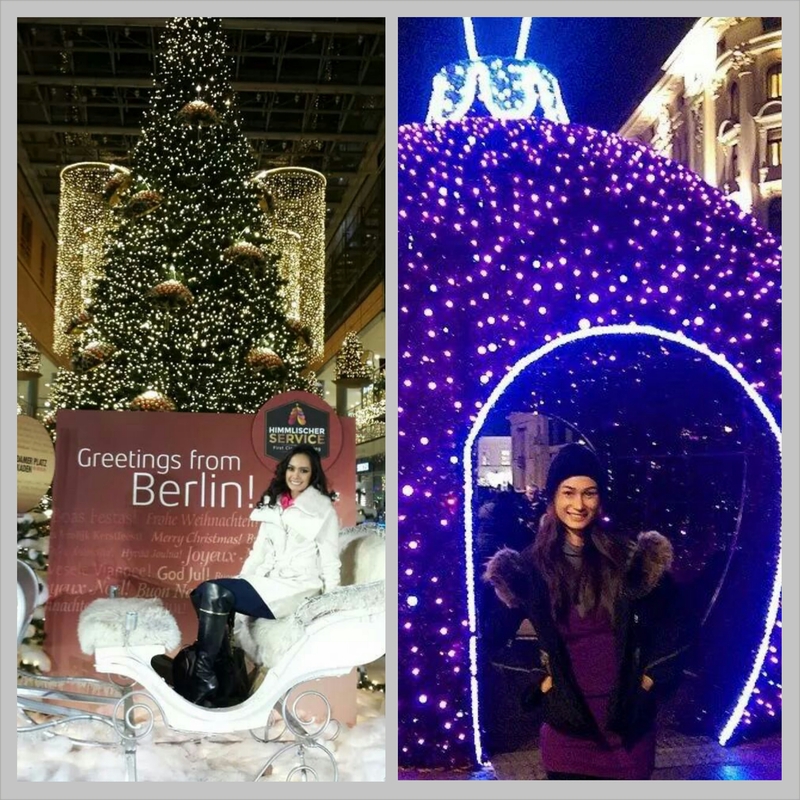 Pilipinas Intercontinental 2014 and Miss Intercontinental 2014 2nd Runner-Up Kris Tiffany Janson is enjoying a grand vacation in Egypt right now, as part of her placement prize in Magdeburg, Germany. Fresh from her European sojourn, our Queen went home just for a quick change (and appearing during the Presscon for Parul and Ann) then packed her bags again. She is now enjoying the hospitality of her hosts and making sure that she will see the best parts of Egypt during this trip. Posted in: 1 Pageant Pages, 2 Shout-out-Looks. Tagged: Diana Mackey, Lenka Josefiova, Leo Almodal, Miss Intercontinental 2014, Supermodel International 2013, Xpedition Middle East. When Czech Beauty Queen, TV Presenter and International Model Lenka Josefiova stayed in the country for a working vacation, she never thought that it would be extended (due to additional projects) and with more stints for personal and pageant judging appearances. I offered her to write a summary of how her fruitful stay has been and the following blocked quoted words were shared with your blogger before she departed from the Philippines. Lenka Josefiova really made the most out of her extended one month stay in Philippines. Her schedule here was really busy. 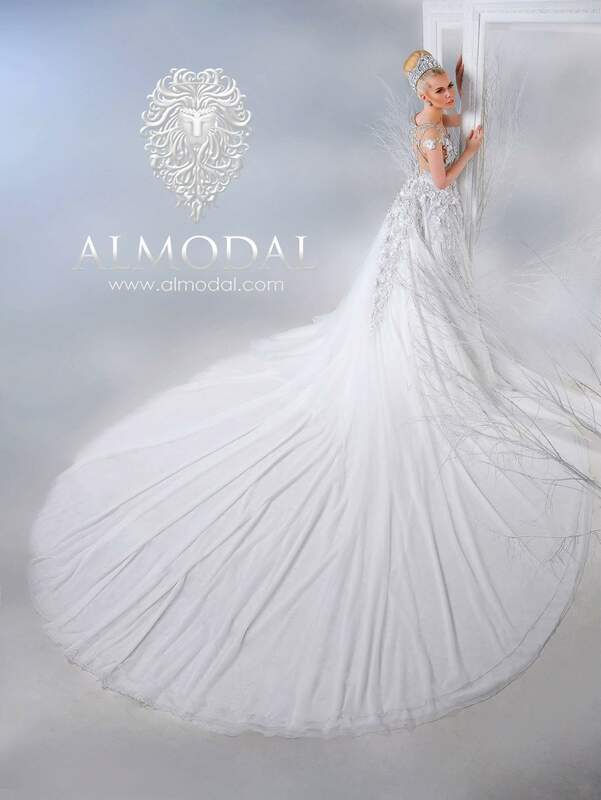 She became the Face of Leo Almodal new Bridal Haute Couture campaign. 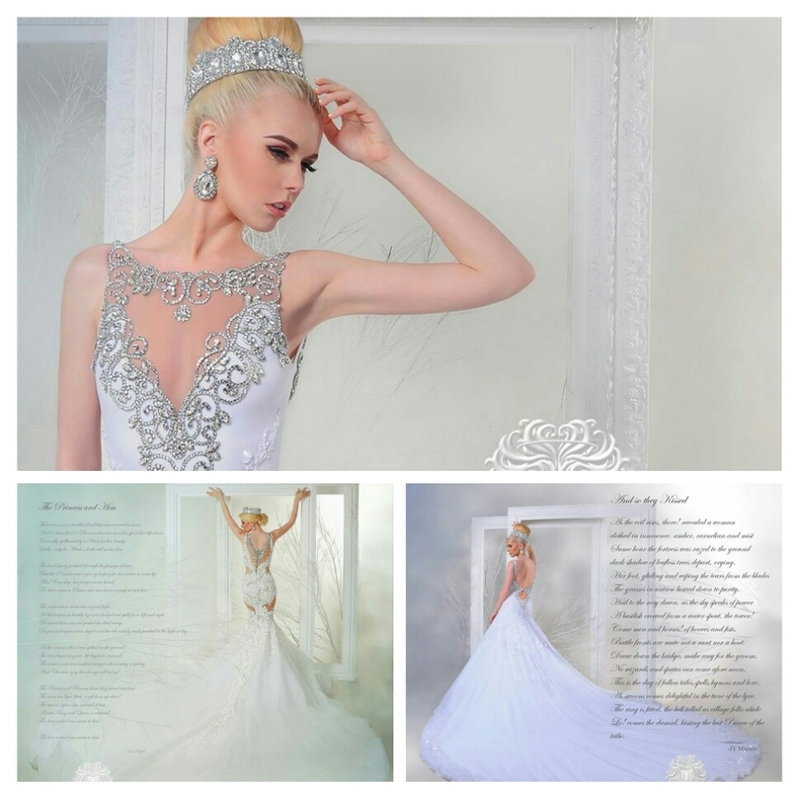 In the campaign, she really looks like as a Princess in a fairy tale, and this is exactly how the popular designer wants all the brides to feel. The collaboration with Leo Almodal successfully continued with Lenka wearing one his designs during fashion show for well known shoe designer Nereku. 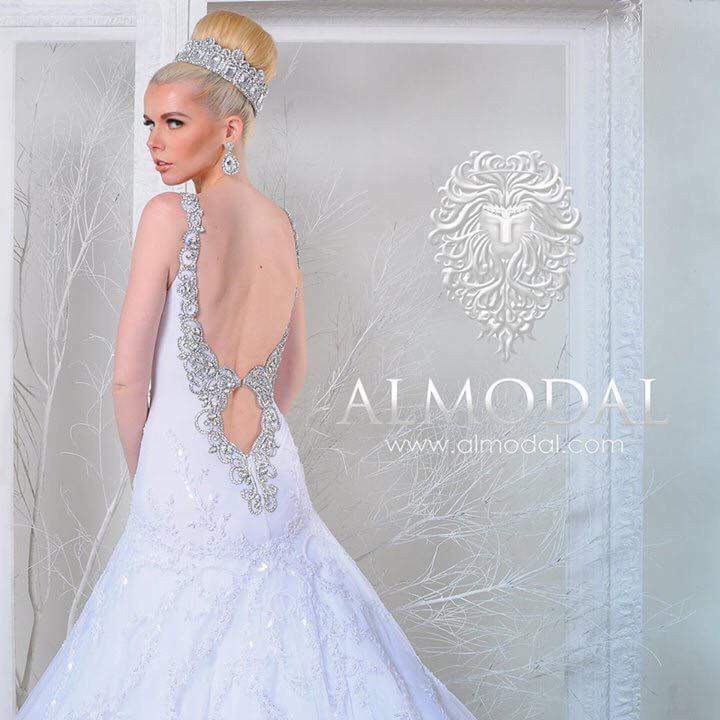 She also closed the Bridal show in SM Aura with the wedding gown & crown from Leo Almodal new collection. Since Lenka loves pageants too (as we all in the Philippines do) after being a judge in Miss Bikini Philippines 2015, she also went to see Miss Earth Philippines 2015 final to support her friend Diana Mackey who was her roommate during Supermodel International 2013 in Thailand, where Lenka became one of the TOP 5 winners. In Miss Philippines Earth 2015, she also became friends with one of the former winners: Miss Philippines Earth 2013 & current Miss Multiverse Philippines 2015 Angelee Reyes, with whom she worked with during the Nereku show. She sees Angelee as one of the most down to earth Beauty Queens she ever met & she really values their friendship. After her succesful judging stint in Miss Bikini Philippines 2015, Lenka was invited as one of the judges for Miss Tabuk City Philippines 2015 in Kalinga province. She was invited by her friend from Miss Tourism International 2014 in Malaysia – Miss Tourism Metropolitan 2014 Glennifer Perido. Lenka told me that she loved very much her 3 day-stay in this beautiful city & she really appreciates all the love she received from all the lovely people in Tabuk City. During her judging at the pageant, Lenka was also wearing one of the Leo Almodal gorgeous evening gowns & crown. The city welcomed her with the posters scattered all over the city. During her trip Lenka also met with the Vice Mayor of Manila – Isko Moreno & Miss Kalinga 2014 Angelica Balunggay. In Manila, she managed to have lots of photo shoots, not only for new Leo Almodal Bridal, jewellery & crowns campaign, but also for several covers & editorials in different European magazines.. One editorial photoshoot took her to beautiful Daranak Falls. This place she sees as really magical & amazing location for the shoot. Lenka still found time for some sightseeing around Manila. She visited places such as Fort Santiago, Rizal Park, Coconut Palace & she even tried riding a Calesa. She was very often in Slimmers World enjoying the massages & body treatments that she received from Slimmers World International. And she also had the chance to enjoy a few days in Azure Urban Resort Residences in Manila as her welcoming gift from the Philippines by Century Properties. 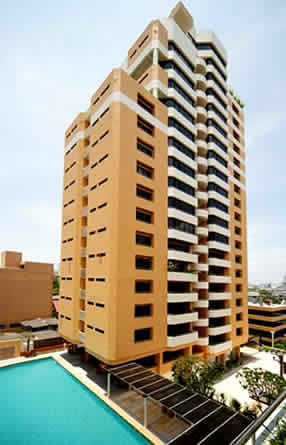 She loved the beach with sand created there as a part of this project & beautiful pool with the waves. 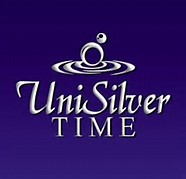 She also had several pageant trainings by one of the most successful pageant trainers in the Philippines – KF. During the sessions, she became friends with the current Mutya Ng Pilipinas contestant Janela Joy Cuaton, who was one of the hot favorites for the crown & Izyl Rochepatricia Logumbay-Nazareno. Because of Izyl, Lenka changed her flight again to be there to support her at The Little Miss Earth Angels 2015 final, where the girl became 2nd runner-up. Kris Tiffany Janson: How does it feel to have your reign end in less than three weeks? In my honest opinion, Bb. 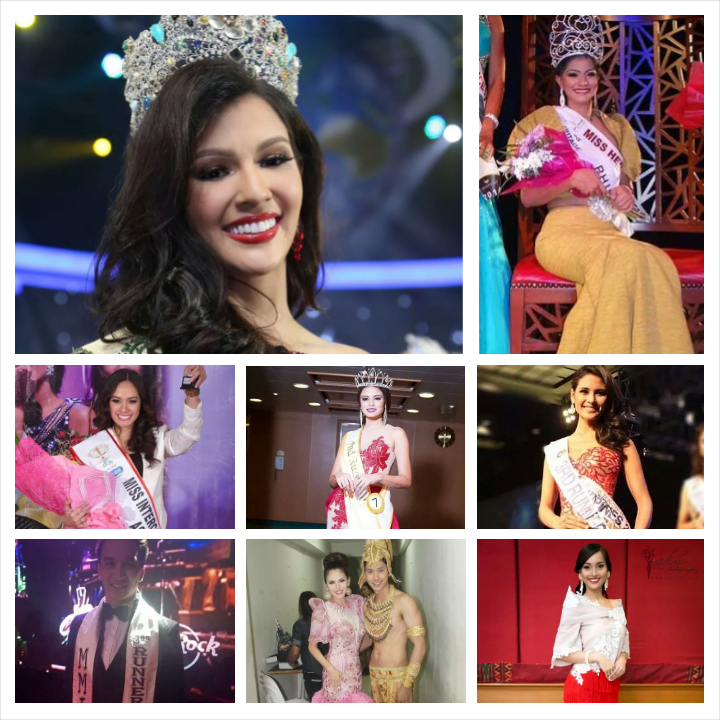 Pilipinas-Intercontinental 2014 Kris Tiffany Janson was only one of two Queens (the other person being Yvethe Santiago) last year I was very, very sure of as winning one of the crowns many days before the actual finals. In fact, she remained a staple in my list all throughout the pre-pageant. Hence, it was just a matter of waiting for the announcement as to which title will be given to her. Unlike Mariane (Bianca Guidotti to you) whom I have known months before she decided to take the Bb. Pilipinas plunge, I only got to meet the real ‘Kris Janson’ during those days in Bohol when we got to judge the Mutya ng Panglao 2014 in the same panel along with Miss Philippines-Earth 2014-turned-Miss Earth 2014 Jamie Herrell and Mutya ng Pilipinas Asia Pacific International 2014 Eva Patalinjug. Here was a lovely and level-headed beauty queen who, when not wearing her crown and sash, is as normal as the girl-next-door. She is like a young teenager who enjoys walking/basking on the beach and talking about the most trivial things. The only difference is that she has such a mutual admiration thing with the sun that no amount of sunblock is needed to keep her from getting burned. From that point, I knew that she truly deserved her Bb. Pilipinas win. Up to now, I remain firm in stating that the Miss Intercontinental 2014 should have been her. It was her crown to lose, in fact. But then again, certain unseen forces got in the way. But I will stop at that. All water under the bridge by now. Posted in: 1 Pageant Pages, 2 Shout-out-Looks. Tagged: Miss Asia Pacific World 2014, Miss Diversity Culture International 2014, Miss Earth 2014, Miss Global 2014, Miss Heritage 2014, Miss Intercontinental 2014, Miss Southeast Asian 2014. 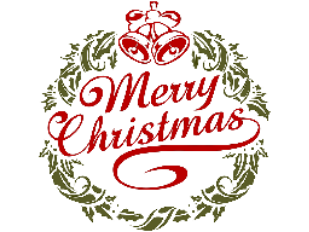 To the women and men who represented the country this year – winner, placed or unplaced – Merry Christmas! You have done a great service to the Philippines in 2014. 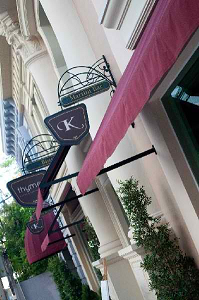 Welcome home, Kris and Yvethe! Posted in: 1 Pageant Pages, 2 Shout-out-Looks. 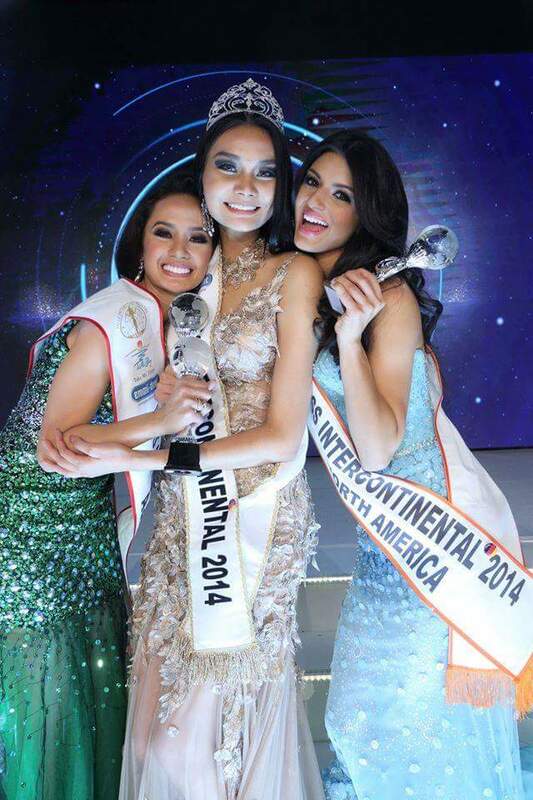 Tagged: Kris Tiffany Janson, Miss Intercontinental 2014, Miss Supranational 2014, Yvethe Santiago. Early afternoon tomorrow, the separate European sojourns of Bb. Pilipinas Intercontinental 2014 Kris Tiffany Janson and Bb. Pilipinas Supranational 2014 Yvethe Santiago will come to a close as they arrive together aboard a Philippine Airlines flight from London. While the duo did not win their respective competitions, Kris will be bringing back the 2nd Runner-Up trophy she bagged in Magdeburg, while Yvethe made it to the Top 20 Semifinalists in Krynica-Zdròj.